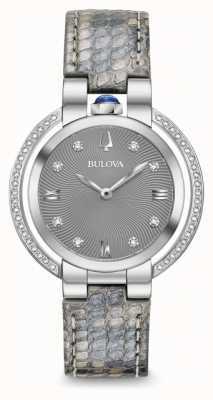 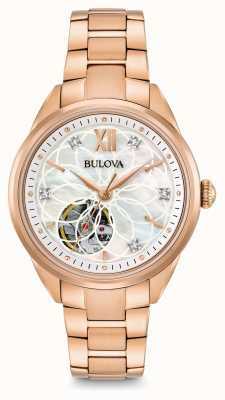 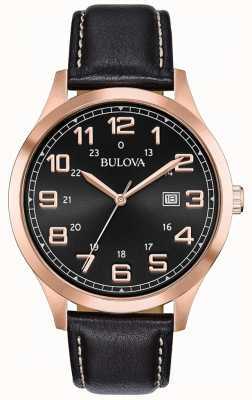 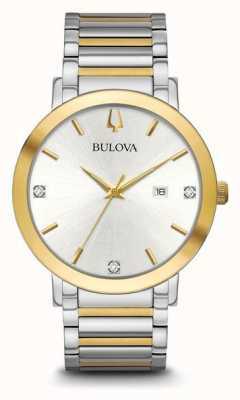 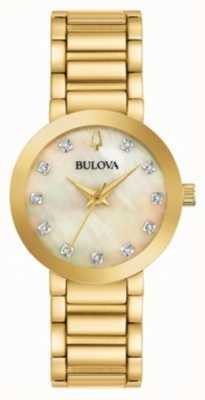 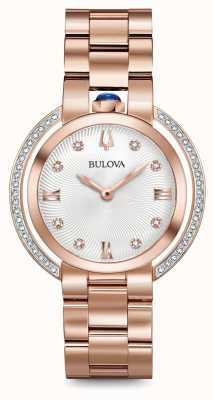 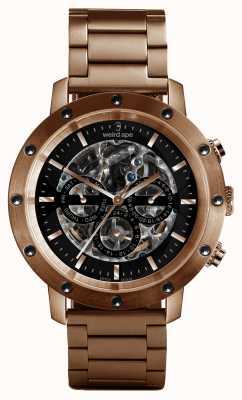 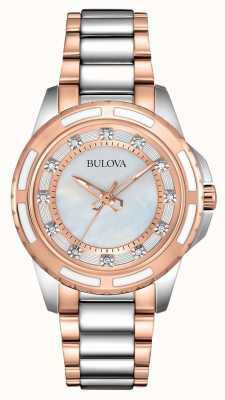 A spectacular watch from inspirational brand, Bulova, and a unique creation even by their own high standards. 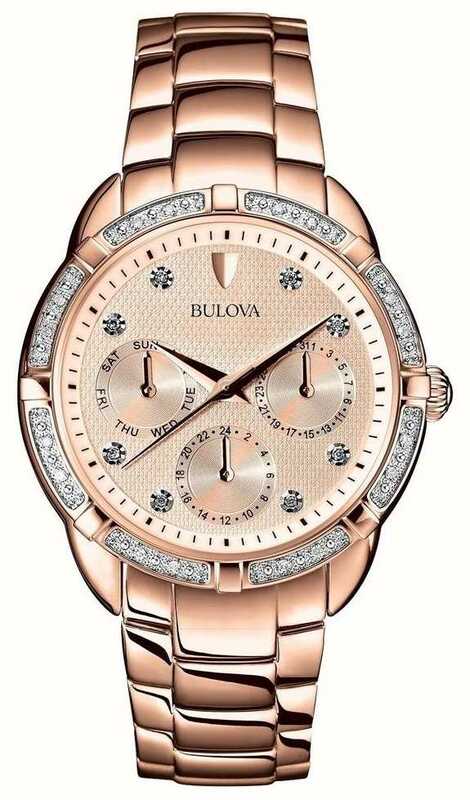 ​The curvaceous exterior is already stunning, and the rose-gold shimmer makes everything even more special, perfect for the fashionable lady. 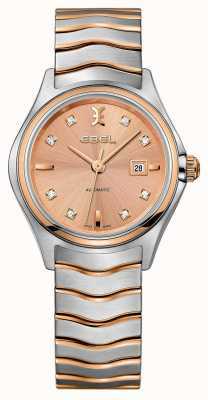 The bezel is set with crystals in a luxurious touch and this contrasts the sporty appeal of the dial with its multi-functional sub-dials. 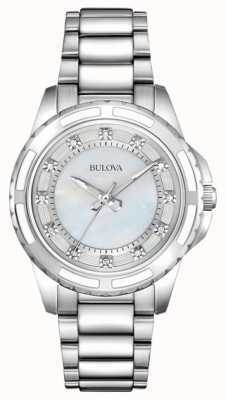 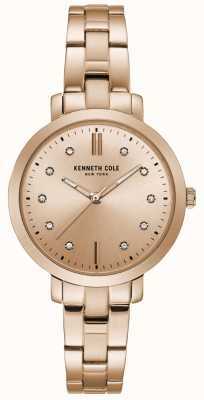 ​Features a day display, date display, 24 hour display. 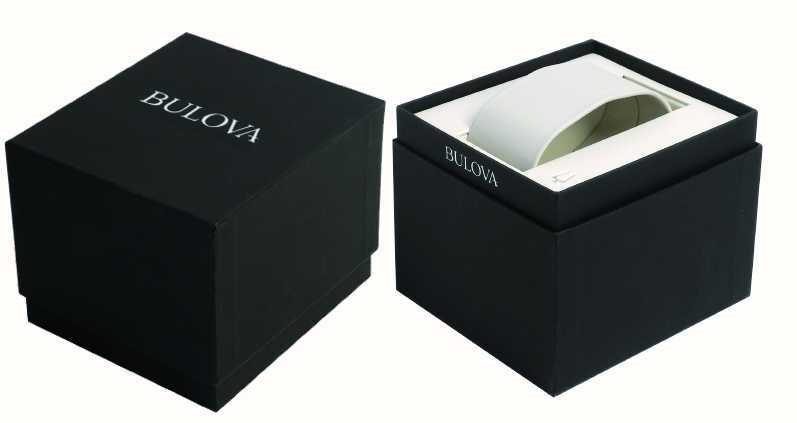 First Class Watches are Bulova watch retail partners so you can be assured your sparkling new watch will arrive with a stamped manufacturer's warranty, packaging and instructions.